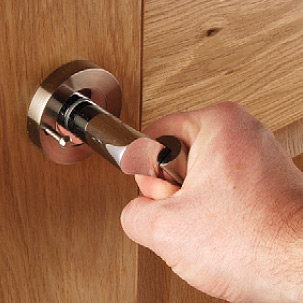 The Heritage Brass Washered Hinge is often considered more appropriate in residential properties due to the size of the hinge knuckle being smaller and more discreet than the knuckle on ball bearing hinges. For standard internal residential doors which are generally 35mm thick a pair of hinges is adequate; however, we would always suggest fitting 3 hinges per door as this will look more aesthetically pleasing to the eye. When using 3 per door the hinges will hold doors up to 20kg maximum. From a practical point of view the use of 3 hinges will help to overcome twisting or warping which sometimes happens to doors over a period of time where heat and moisture are a factor, for instance bathroom and airing cupboard doors. There are also other variations of this hinge available –102mm x 67 (4" x 2") size hinges. These other hinges can be found in the related products.